I previously shared that my recent trip to Buffalo was VERY special –and here are two more reasons why. First, for a couple of years now I have been following the Andrea Remembers blog. 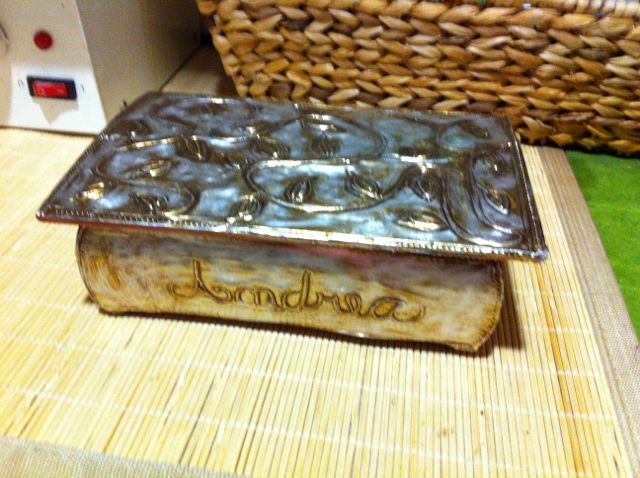 Last spring, someone gave me some class samples to possibly use in the art room, and one of the items was a cedar box with the name Andrea engraved in a foil relief. 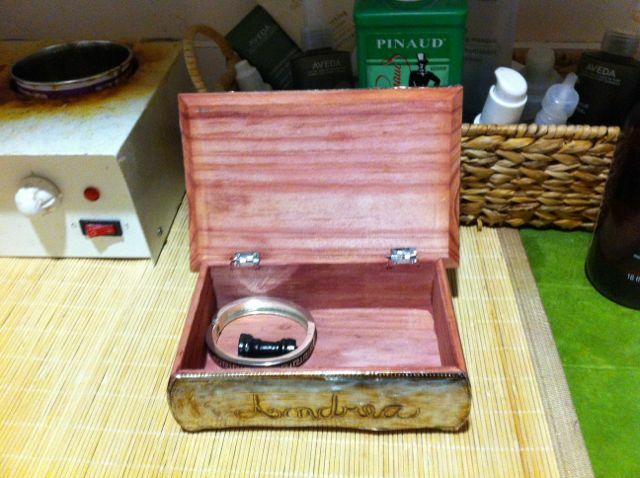 When I knew I was heading up to the Buffalo last week, I emailed Andrea to see if I could leave this cute little box for her at one of my sister’s salons. Well Andrea and I ended up getting together for lunch and I thought I was going to cry when I met her (because I ache for her that she lost her hubby in 2008) but I didn’t cry; instead, I found myself laughing and enjoying some very good company. The girls at the salon also enjoyed meeting Andrea, and well, it was a very special part of my trip! Second, as I drove around visiting family and running errands in Western New York, it gave me the chance to stroll down memory lane. I drove past schools I attended, places I hung out with friends, and I even checked out the house I grew up in. My mind, and heart, was filled with songs from long ago, memories of growing up, and reflections of the people from my past! The extra time I had on this trip assuaged some of the homesickness that comes with living “away.” However, it is not like one can move back to capture the essence, because things change and life moves forward no matter where we live, especially after living in multiple locations! But there are certain times when we just sorely miss – and long for – the former places we used to call home – and when we visit those places it satisfies and pacifies. Side note here, ironically, my current state of residence is actually where many generations of my mom’s side of the family is from – and so in a way I am probably more at home here in VA than I am up north. However, the good news is that one day I will be forever satisfied when I arrive at my permanent home, which is in heaven, but until then, I will do my best to enjoy the phases of my journey here. 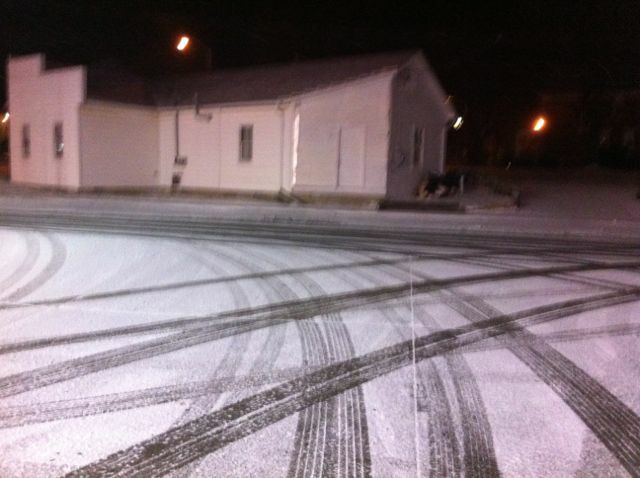 December 3, 2013 at ..
April 6, 2014 at ..
Ah, serendipity at work again. Isn’t it rewarding to meet someone and have an instantaneous connection? It sounds as if your trip was a most satisfying one. 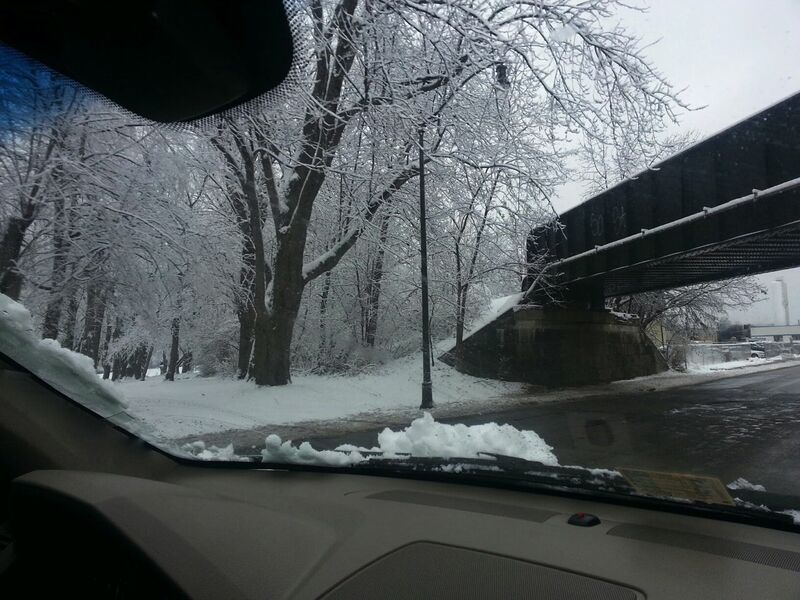 April 14, 2014 at ..